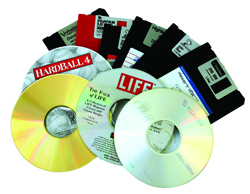 Don’t throw away those exercise videos and ubiquitous AOL CDs. Jim Williams wants you to mail old videotapes and CDs to him, so that more than 40 disabled staffers at his ACT Recycling in Columbia, Missouri can recycle them. And, oh, don’t toss out those used Fed-Ex envelopes or broken smoke detectors; their manufacturers take them back for recycling. Indeed, these days, it seems that more cast-offs than ever can be recycled. No matter where you live, you can recycle a wide range of discards—aseptic juice packages, printer cartridges, ordinary batteries, iPods, PDAs, and even cell phones. Surprised? Recycling has leap-frogged ahead, meaning if you haven’t checked the recycling scene since the mid-1990s, it’s possible that much of what you thought you knew is wrong. Not only can you recycle more things, but your discards are very much in demand, perhaps more than you realize. Get this: Recycling and reuse businesses now employ about as many people as the auto industry, if not more, according to a 2001 "U.S. Recycling Economic Information Study" commissioned by the U.S. Environmental Protection Agency and several states through an agreement with the National Recycling Coalition. At least 1.1 million people now work in the industry, more than triple the jobs in mining. BusinessWeek in February pegged the number of auto factory workers at about 950,000. Demand from industrializing China and India is helping spur the U.S. recycling industry, which now provides a "major source of raw materials," according to Jerry Powell, editor of Resource Recycling magazine. "Without recycling, given current virgin raw material supplies, we could not print the daily newspaper, build a car, or ship a product in a cardboard box," says Powell. "Recycling is not some feel-good activity; it is one of the backbones of global economic development." To his way of thinking, recovering cast-offs and putting them to good use "are key ingredients to industrial growth and stability." Is the Job Getting Done? And yet, there is a problem. It becomes obvious when peering into a garbage can at a community festival or in the dumpster behind your local shopping mall. Curiously, while recycling has grown to more than 9,000 curbside programs nationwide, a greater percentage of recyclable plastic bottles and aluminum cans are ending up in the regular garbage. Aluminum can recycling has dropped steadily, from a 1992 high of 65 percent of cans to 45 percent by 2004, according to the Container Recycling Institute. The Aluminum Association puts the latter figure at 51 percent. Plastic bottles fare worse: While nearly 40 percent of PET plastic bottles were recycled in 1995, only about half that many—21.6 percent—were recycled in 2004, according to the National Association for PET Container Resources. Powell says recycling levels exceed 50 percent for such materials as corrugated cartons and steel. Paul Gardner got an unanticipated glimpse into why recycling rates are slipping in Minnesota, thanks to a phone survey of 800 Minnesotans that included this single recycling-related question: "Do you think manufacturers need more cans, bottles and paper?" Only 36 percent said "we need more," and those folks tended to have a high-school education or less and be younger (ages 24 and under). "The more education you have, the more likely you are to be cynical about recycling," concluded Gardner, who is executive director of the Recycling Association of Minnesota. "We don’t know [why], to be honest," though the purpose of the survey question was "to see how many people in the state still cling to the idea that there is a glut of recyclables, because we need all the material we can get right now and more." He adds, "We’ve got some work to do, since almost three-quarters of Minnesotans think that we don’t need to recycle more. Twenty-four percent of our garbage is still recyclable paper, so we have more to get." Gardner also spends time combating impressions sometimes bandied about in the media, most famously in "Recycling Is Garbage," a 1996 cover story in the New York Times Magazine, in which libertarian writer John Tierney argued that recycling could be "the most wasteful activity in modern America." Tierney wrote, "Recycling does sometimes make sense—for some materials in some places at some times. But the simplest and cheapest option is usually to bury garbage in an environmentally safe landfill. And since there’s no shortage of landfill space (the crisis of 1987 was a false alarm), there’s no reason to make recycling a legal or moral imperative. Mandatory recycling programs aren’t good for posterity. They offer mainly short-term benefits to a few groups—politicians, public relations consultants, environmental organizations, waste-handling corporations—while diverting money from genuine social and environmental problems." When the American Prospect in 2001 profiled Tierney and asked about his 7,800-word anti-recycling story, he said: "I could write something about the good side of recycling. And there are some benefits. But everybody else writes that." The Times story still reverberates. 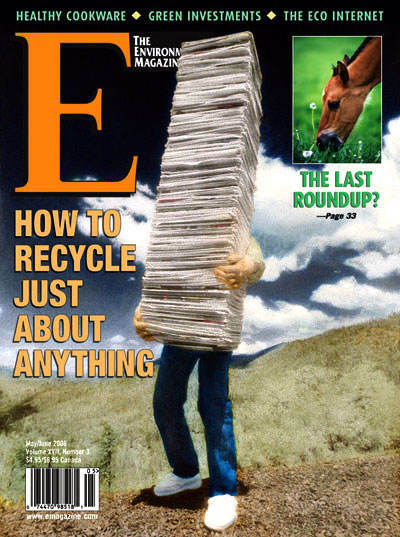 E, by the way, responded to Tierney’s piece with its own cover story, "Talking Trash: Recycling is Under Attack," which appeared in the March/April 1997 issue. At the time, the New York Times Syndicate distributed both articles as a pro and con package. "We’ve been fighting negative images ever since then," says Gardner, who tries to counter attacks from similarly themed articles, including "Why Recycling is Garbage" (Forbes 1997) and "Recycle This!" (Weekly Standard, January 2006). The Weekly Standard argued that there is plenty of sand, trees, petroleum and farm products to produce new glass, paper and plastic, so recycling is a waste of time that robs Seattle households of 16 minutes per week on sorting cast-offs. Last January, Seattle began mandatory recycling. That means businesses and multi-family residential buildings face up to three warnings, followed by a $50 ticket if their garbage contains at least 10 percent recyclables (as of mid-February, no tickets had been issued). Mandatory recycling is folly, contends the Weekly Standard. "To say we will someday run out of trees is the same as saying we will someday run out of corn," the magazine opined, adding that the motivation behind recycling is "we get a warm and fuzzy feeling." Gardner and other recyclers shake their heads at such arguments. Recycling proves much more than an alternative to landfills, though high costs of garbage disposal in some areas certainly fuel interest; Seattle saves $4.4 million a year by recycling what otherwise would be trucked a few hours south to an Oregon landfill, says Brett Stav, a spokesperson for Seattle Public Utilities. less chemicals, less water," Gardner says. A rash of scrap metal thefts illustrates just how much copper, aluminum and bronze are in demand. Manhole covers and sewer grates have gone missing in Indianapolis, aluminum siding was ripped from vacant homes in western Ohio, and at least 100 metal light poles have been hacked down and carted away in Maryland. Meanwhile, copper wire has been swiped from at least 2,500 light poles in the Kansas City area in recent months. Inconvenience isn’t a problem: Sixteen bronze plaques weighing a total 240 pounds went missing from a Minneapolis park. Three guys sold them, cut up, to a scrap yard—and were arrested by police the next day, according to news reports. The same fate befell an historic P.T. Barnum statue in Bridgeport, Connecticut, but the perpetrators were never caught. In short, people want your scrap metal—and lots of other discards. Carpet manufacturers are looking for more plastic bottles. Plastic lumberers are looking for your moderately stiff plastic bottles ("HDPE" or "No. 2" plastic). In fact, there’s a market for lots of things that may be in your garbage can. The following is a guide to help you recycle all those perplexing items you can’t bear to throw away. Also consider making a visit to your local recycling center, which will help educate you on how the processes work and help you gain perspective on the good folk who go through your trash. Those paper-and-foil juice packets are convenient to use, but not so convenient for recyclers. While they’re accepted in recycling bins at such places as Stanford University, just a fraction of U.S. households—approximately 12 million—can recycle them through curbside or drop-off programs, according to the Aseptic Packaging Council. Still, you’re welcome to ship clean, compact aseptic packaging for recycling to: BRING Recycling, Reuse Warehouse & Business Office, 86641 Franklin Boulevard, Eugene, OR 97405; (541)746-3023. Even if your vehicle doesn’t run, lots of nonprofit organizations want it. Numerous "vehicle donation programs" will gladly accept most towable vehicles. Pickup is free. Some sell the vehicles directly to raise money; others contract with someone to run the donation program for a fee. Best bet: Ask your favorite nonprofit organization whether it accepts vehicles. Those that do include Habitat for Humanity (877-277-4344), Wolf Haven International (360-264-4695, www.wolfhaven.org), Houston Audubon Society (713-932-1639, www.houstonaudubon.org) and People for the Ethical Treatment of Animals (757-962-8277, www.peta.org). Household single-use batteries: If your community hazardous waste program doesn’t take them or can’t refer you to a local business that does, then try a private firm such as mail-order Battery Solutions (800-852-8127, BatteryRecycling. com). It recycles them for a fee of 85 cents per pound. You may find alternatives near you at Earth911.org. In San Francisco, where it became illegal to dump batteries in the trash as of February, all Walgreens stores accept old batteries. Across the country, Batteries Plus stores accept all batteries for recycling (800-677-8278, www.batteriesplus.com). Rechargeable batteries: RadioShack and Office Depot accept batteries from wireless phones, laptop computers, camcorders, cordless power tools, digital cameras and radio-controlled toys at no charge. These are Nickel Cadmium (Ni-Cd), Nickel Metal Hydride (Ni-MH), Lithium Ion (Li-ion) and Small Sealed Lead Acid (Pb) batteries weighing less than two pounds. To find other nearby recyclers, try Earth911.org, Rbrc.com or 877-2-RECYCLE. First, consider selling books to used bookstores or online at such sites as Amazon.com. Or donate them to libraries, thrift stores or the International Book Project (888-999-2665, www.intlbookproject.org). No go? Some curbside recycling programs, including New York City"s, accept paperbacks, comic books and other soft-cover books. Hardbacks, too, are accepted for recycling on the Stanford University campus and during special monthly "Electronics & Books Recycling Days" in Kane County, Ill. Check your recycling program’s rules. Many auto-parts stores and service centers that sell these items will take your old ones for recycling; to find locations near you, go to Earth911.org. Nearly 40 states have laws ensuring consumers can return old car batteries; to view your state’s status, go to BatteryCouncil.org. Ask your carpet dealer if his or her company has access to a carpet recycling network, which is likeliest in California, says Bob Peoples, executive director of the carpet industry’s Carpet America Recovery Effort (CARE). You may strike out. Trouble is, there is no routine system for recycling old carpet, says Peoples. The picture should begin to brighten by the end of 2007. "We’re trying to build the infrastructure for collection around the country," says Paul Ashman, head of Environmental Recovery and Consolidation Services (866-873-2244). "It’s an industry that’s just beginning." If you’re in the commercial sector, Peoples" organization advises calling your mill representative, who can work with you to get your carpet recycled for a fee. Find potential contacts and locations of carpet reclamers at CarpetRecovery.org. Drop them off at Staples office supply stores or go to CollectiveGood.com, where you"ll choose a charity to benefit before shipping them to: CollectiveGood, 4508 Bibb Boulevard, Suite B-10, Tucker, GA 30084. Many programs accept cell phones (which have an average lifespan of 18 months), including police stations and Call to Protect (www.DonateaPhone.com), which gives phones to domestic violence agencies. The nonprofit Rechargeable Battery Recycling Corp. recycles phones and gives a portion of proceeds to charity; for drop-off sites near you, go to Call2Recycle.org or call 877-2-RECYCLE. Alternatively, get cash, $2 to $100-plus, for newer-model cell phones from CellForCash.com (800-503-8026). It is now illegal in California to toss cell phones in the trash. Thrift stores want usable clothes, but not tattered items. Turn frayed or torn clothing into rags for painting and cleaning at home. In Vermont’s Chittenden County, residents can take clear bags of clean, dry clothing and linens to the solid waste department’s drop-off centers for no fee. Also, consider joining or hosting a local clothes swap event (learn more at www.swaporamarama.org). k and four other groups, e-waste has been a touchy issue for consumers. To see a list of recyclers who’ve signed pledges to be good stewards, go to www.ban.org/pledge/Locations.html. Alternatively, ask your community’s hazardous waste program for recommendations of responsible recyclers. Seattle’s "Take It Back Network," for instance, lists local recyclers who’ve pledged to recycle responsibly and not ship waste to developing nations. Find that list at www.metrokc.gov/dnrp/swd/electronics/index.asp. About 20 states have passed or considered legislation that would require manufacturers to recycle their computers. That’s an approach supported by Dell and HP. Dell will take back certain Dell and non-Dell monitors, desktops, towers, notebooks, printers and peripherals. Example: recycling a PC and a monitor would cost you $20 to cover home pickup, shipment and recycling. Fee may be waived if you buy a new Dell computer. Get instructions at www.Dell.com/recycle. Manufacturer HP will take back any computer hardware from any maker. That includes printers, scanners, fax machines, monitors, handheld devices, plus their cables, mice, keyboards or other external components. 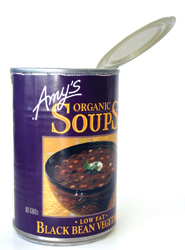 The company says they"ll be reused or recycled "in a way that conserves resources." Fee: $13 to $34 per item. Get details at http://tinyurl.com/57hz. Drop them off at LensCrafters, Pearle Vision, BJ’s Optical, the optical stores at Sears or Target, or your local Lions Club. Refurbished glasses are delivered to developing countries. In San Francisco, where in February it became illegal to dump fluorescent bulbs in the garbage, several hardware stores accept them, including Brownie"s, Cliff’s Variety and Cole Hardware. Check the rules of your community’s hazardous waste program, which may accept the bulbs at solid-waste drop-off sites, as in Vermont’s Chittenden County. For a list of companies that say they recycle the spent bulbs, go to Lamprecycle.org. Turn them into rich compost for your garden or houseplants by starting a compost bin or worm bin—even in New York City, no matter how small your space, as the New York City Compost Project urges. Find step-by-step instructions for starting an indoor worm bin or backyard compost bin at www.NYCCompost.org. If a friend or loved one doesn’t want your hand-me-down and if selling your iPod on eBay isn’t your thing, then consider Apple’s recycling program. Take an unwanted iPod, iPod mini or iPod photo to any Apple store. You"ll get a minor (10 percent) price break on any new iPod bought that day. The company says your oldie will be processed domestically. Friends or family may want your old magazines. If not, surprise, your curbside recycling program likely accepts magazines and catalogs; call yours to check. Phone books are accepted any time by some recycling programs, as in Meridian, Idaho and Atlantic County, New Jersey, though yearly phone-book recycling events are the norm in many places. Too few people seem to know that magazine recycling has expanded considerably since the 1980s, when recycling programs tended to forbid glossies, according to ReMix, a National Recycling Coalition program first launched in Boston and Maryland’s Prince Georges County in 2004 to encourage magazine recycling. Case in point: Only 31 to 35 percent of magazines in Wisconsin are recycled, while programs there are doing a better job capturing other items. Many states have "material exchanges" where odd stuff is collected and made available to the public for use. Outdated calendars, office paper that is used on one side, wallpaper, flooring samples, crayons and other stuff is gladly accepted by Materials Exchange Center for Community Arts in Eugene, Oregon, whose credo is "creativity is the solution to our garbage problem!" To see if there’s a materials exchange near you, search Google.com for "materials exchange" or call your local hazardous waste department. Curbside recycling programs traditionally accept these mainstays; if yours doesn"t, the nearest scrap yard wants them. Alternatively, ask around to learn whether a local charity collects aluminum cans to raise money. Pull tabs from aluminum cans are welcomed by Ronald McDonald houses, which trade them for cash (www.rmhc.org). Your community’s household hazardous waste program will take paint cans and possibly recycle leftover paint into newly formulated paints available for resale, as happens in Knoxville, Tennessee, and Portland, Oregon. Some nonprofit organizations welcome usable paint; to check locally, go to Earth911.org. Empty dried-out paint cans without lids are accepted as part of the regular curbside recycling pickup program in such places as New York City and Kane County, Illinois. Check your program. Chances are that your curbside recycling program accepts more types of paper these days than just flattened cardboard boxes and newspapers. Los Angeles residents, for instance, can also recycle clean and dry computer paper, ledger paper, wrapping, arts and craft paper, mail, flyers, telephone books, note cards, blueprints, magazines, file folders, paper bags, Post-it notes, catalogs and all envelopes including those with windows. They also can toss in "chipboard" boxes including empty rolls of toilet paper, cereal boxes, frozen food boxes, shoeboxes and detergent boxes. Check your program for its latest rules. Use supermarket bags as kitchen garbage bags or as pooper-scoopers for dog and cat waste. Some supermarkets recycle bags; check for a bin at the store entrance. Your curbside recycling program may also recycle plastic bags, so call to check. Dog parks often invite the public to stock their makeshift pooper-scooper-bag dispensers; stuff them with grocery bags, clean produce bags, those plastic sleeve-length bags that come with home-delivered newspapers, and crumb-free bread bags. will almost certainly take any type of plastic. Most UPS Stores accept clean foam peanuts; find nearby stores via 800-789-4623. Alternatively, search LooseFillPackaging.com or call the Peanut Hotline at 800-828-2214. First, save money by refilling inkjet cartridges a few times through ink-refill services offered by such providers as Printpal.com (888-772-1361), CarrotInk.com (877-322-7768), and Walgreens stores. Then take exhausted cartridges to OfficeMax or Office Depot, which will trade you certain models for a free ream of recycled paper. Staples trades them for a $3-off store coupon. Alternatively, Freerecycle.com promises to pay up to $3.60 apiece for nearly 80 types of ink cartridges. Tyvek-brand envelopes, such as those used by Fed-Ex and for U.S. Postal Service Priority Mail, can be shipped back to Tyvek for recycling. If you have fewer than 25, turn one of them inside out, then stuff it with the rest. Ship to: Terry Fife, Tyvek(r) Recycling Specialist, 5401 Jefferson Davis Highway, Spot 197, Room 231, Richmond, VA 23234, (866)338-9835. Sell your old records to an independent music store or at Gemm.com, the self-described "world’s largest music marketplace," or donate them to a thrift store. They last only 10 years and contain radioactive Americium 241, so send dead ones back to the manufacturer. Send First Alert, BRK and Family Guard Smoke Detectors to: BRK Brands, 25 Spur Drive, El Paso, TX 79906, (800)323-9005; www. first alert.com. On the front of the package, write "For Disposal." Up to five smoke alarms are accepted for free. Ship American Sensors and Dicon Smoke Detectors by surface mail to: Dicon Inc., 20 Steelcase Road West, Unit #3, Markham, Ontario L3R 1B2, Canada, (800) 387-4219. On the front of the package, write "For Recycling, $0 Value." It’s easiest to reuse white block foam as packing material. But if there’s a place that manufactures it somewhere near you, that business likely will accept it, says John Gogol, president of PC Plastics in Oregon. Residents of Portland, Boulder, Colorado, and Seattle have it easier: they can take block foam to certain drop-off sites. Ship them to Missouri via media mail, where disabled employees of the nonprofit Alternative Community Training erase and repackage donated media for resale under the GreenDisk label. Download a donor form from ACTRecycling.org. Send items to: Alternative Community Training, 2200 Burlington, Columbia, MO 65202, (800) 359-4607. Alternatively, you can ship your stuff directly to GreenDisk through its Technotrash Pack-IT service (800-305-DISK, www.greendisk.com). For $5.95, you can ship up to 20 pounds. Wire hangers may be unacceptable to Joan Crawford, but they’re taken in by some dry cleaners and by curbside recycling programs in such communities as New York City, Seattle and Palo Alto, California. Salvage yards may also take them. SALLY DENEEN is a dedicated recycler in Seattle. Cool! I never knew that recycling is not just a “feel-good activity” but it also creates jobs and also supplies raw materials to factories making everyday items such as newspaper, cars, and cardboard boxes. My son and I are thinking of what to do together while he’s on school break so that we can get extra money to save in the bank. Your article gave me an idea to start recycling in our own home but also become an example in the community to not only save the environment but also get cash out of it.